This compact condo kitchen fits in modern appliances, a walk-in pantry, and plenty of storage and countertop space. Our 100-Square-Foot Kitchen series profiles kitchens that measure around 100 square feet, one of the most common kitchen sizes. A lack of adequate storage space forced this condo owner to toss everything on the countertops like he was having a yard sale. A designer took on the challenge and actually created fewer cabinets with larger and smarter storage for a streamlined look that hides all the clutter. 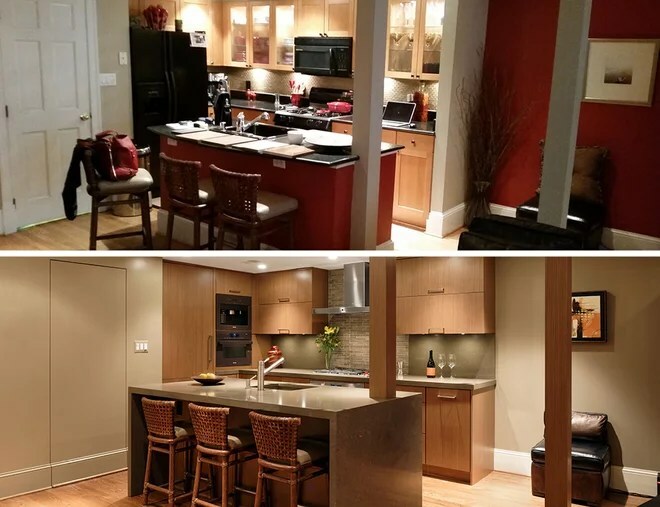 See the results & get ideas for your new revitalized kitchen!